What Constitutes a Good Idea? Don’t let your colleagues be fooled: There’s no shortage of good ideas. A team suffering from an idea famine often masks a greater truth: A dearth in the fostering (culture), the facilitation (leadership), and the execution (talent) of ideas. 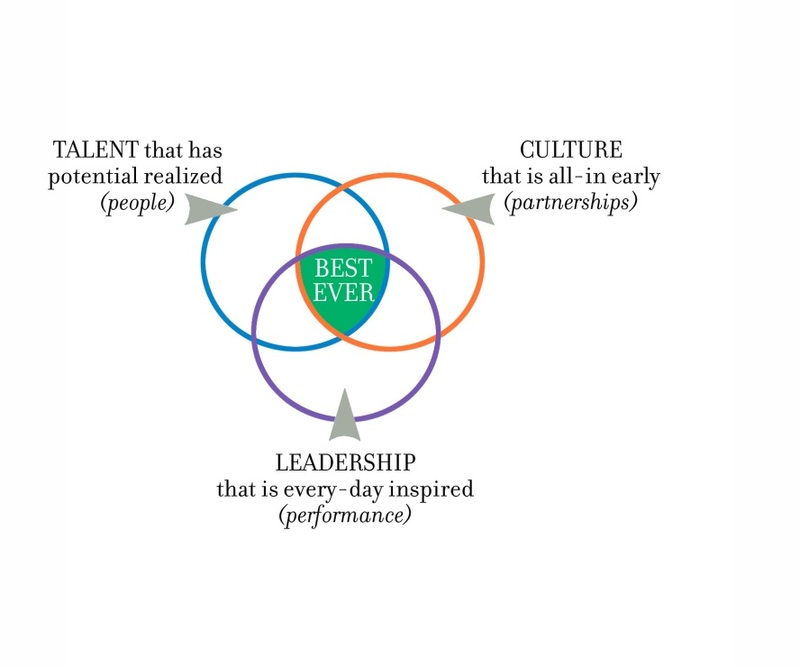 Our ‘Apex of Excellence’ visually represents this needed intersection. Additionally, teams may delay performance because they haven’t aligned on what defines a good idea. Is it a good idea…because it’s really a good idea? Or is it a good idea because it’s your idea? Limited perspectives deceive us into thinking our idea is best. Conversely, expanded perspectives cause analysis-paralysis. What constitutes a good idea? Until your team determines the criteria your competition may have the advantage while you flip-flop between every idea being the next iPhone or no idea making it to the customer. Fulfillment has got to be an eveyday accomplishment. To have your team engaged as well as yourself is a big achievement. Doing a good job and seeing positive results is very fullfilling. Mark – thanks for your comments about fulfillment showing up in each day. What you stated resonates because doing great work is fulfilling for me as well. Mark, thanks for your inspiring words. I know that you are the type of leader who looks for opportunities to do great work and to serve others. Here’s to fulfilling work. We don’t know whether a decision is the right or wrong decision until we put it in motion and see the result. What is important in a wellness culture is that it is safe for people to come up with “good ideas” that may or may not turn out to be the right answer. This a great reminder, Patricia. Sometimes we’ll assess risks and assume it’s a good idea and get caught off guard. What happens next is where leadership shows up. Thanks for your leadership in doing the right thing when “good ideas” might not turn out as good as we hoped.